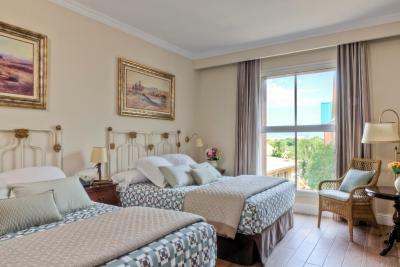 Lock in a great price for PortAventura® Hotel Gold River - Includes PortAventura Park Tickets – rated 8.4 by recent guests! 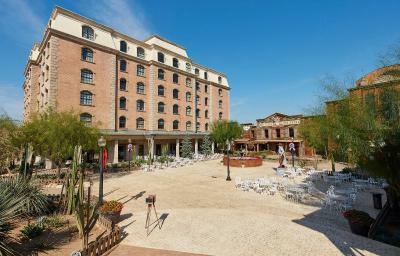 The hotel is really beautiful and the western theme is great. Walk to the park and secure location. also a la carte restaurant and buffet in the hotel. Bar also within hotel and rooms nice and big. Area for kids to play without causing disruption. Breakfast buffet excellent. 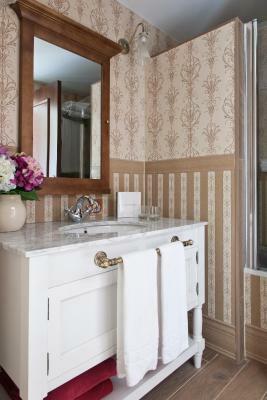 Beautiful western style hotel and rooms. Close to the park. Value for money. 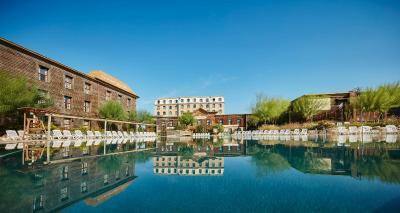 Hotel gold river nice designed, all about Wild West theme, nice pool aria, good location. The hotel is cozy and very well designed, really feels like The Wild West. Rooms are spacy. We were 2 adults and 2 kids in the room and it was enough place for everyone. There was also a kitchenette and a table, and a frige. The room was clean. Breakfast is good - a lot of fruits, pastry, a few sorts of sausages etc. although no vegetables at all. The pool is great. 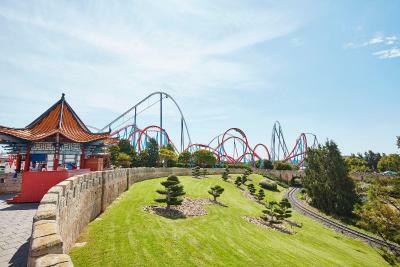 Some tip about the Port Aventura park- although it opens at 10, most of the attractions open after 11, so it doesn’t help to come at the opening to avoid the lines. The location Park tickets included The park ticket is included till the checkout date, so you can check out and still remain in the park till 12pm. In the park. Very convenient. Family room is comfort (2 rooms attached). 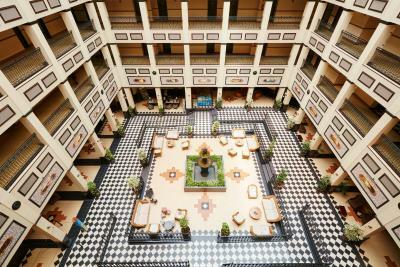 Design of the hotel. Staff was nice and helpful and close to amusement park. Amusement park and waterparks were fun. 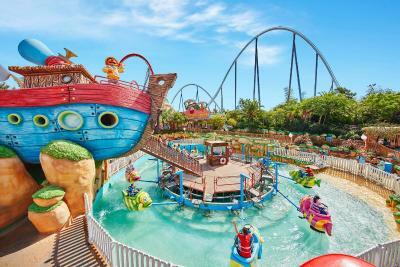 PortAventura® Hotel Gold River - Includes PortAventura Park Tickets This rating is a reflection of how the property compares to the industry standard when it comes to price, facilities and services available. It's based on a self-evaluation by the property. Use this rating to help choose your stay! 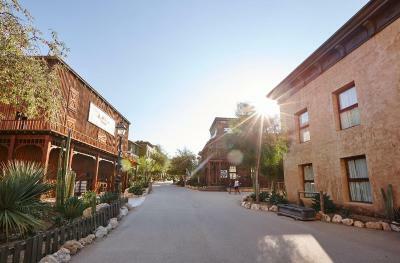 One of our top picks in Salou.Located 1 hours’ drive from Barcelona, this Wild West-themed hotel offers free unlimited access to PortAventura Theme Park. 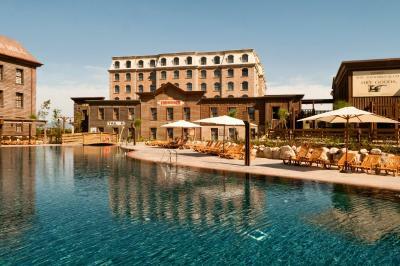 It features 3 river-style swimming pools, as well as evening and daytime entertainment. 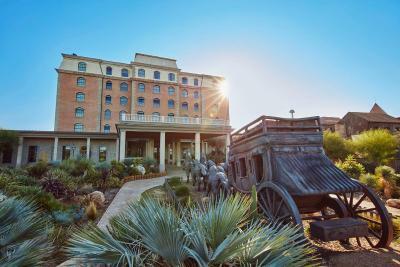 Hotel Gold River is themed around the American Gold Rush, for a true Wild West experience, and it features décor traditional of the era. 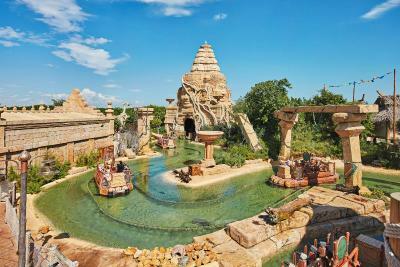 It offers direct access to the Far West section of the theme park. 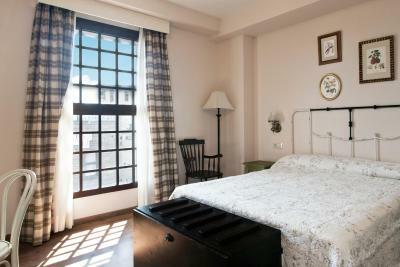 Beds are covered with colorful patchwork quilts and there are antique-style furnishings, as well as satellite TV. 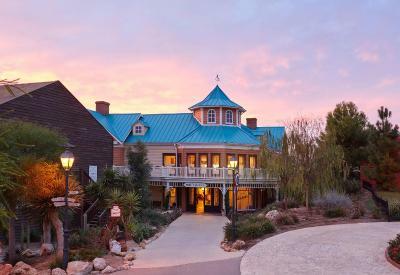 The rooms are set in different themed parts of the hotel, including a Victorian mansion, City Hall and a characteristic Wild West main street scene. The Gold River’s Grand Hall Restaurant serves a range of buffet cuisine, while the New Texas and Opera House Restaurants offers à la carte options. There are also 2 bars and a snack bar on site. 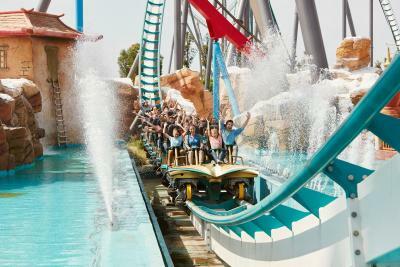 PortAventura is just outside Salou, which can be easily accessed from the AP7 Motorway. Barcelona is located north of the complex and can be reached by train in 1 hour. A bus goes from Camp de Tarragona AVE Train Station to Barcelona and Reus Airports. 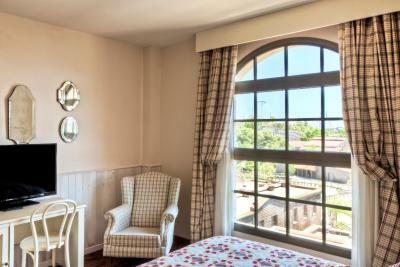 When would you like to stay at PortAventura® Hotel Gold River - Includes PortAventura Park Tickets? Air-conditioned and heated, this room includes a flat-screen TV with satellite channels, a mini-bar, safe, and a private bathroom with a hairdryer. 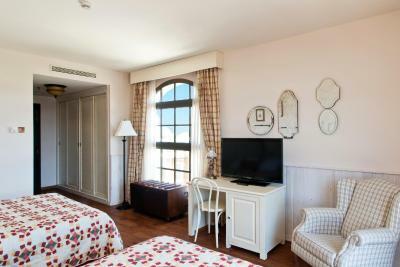 This room includes free and unlimited access to PortAventura Theme Park and discounts on entry to Costa Caribe Water Park (please check the parks' opening calendar). 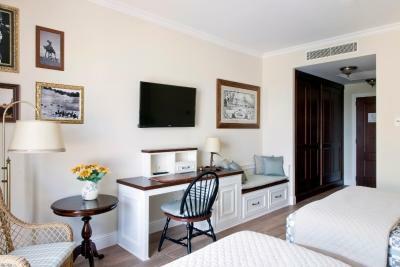 This room includes free and unlimited access to PortAventura Theme Park and discounts on entry to Costa Caribe Water Park (please check the parks' opening calendar). 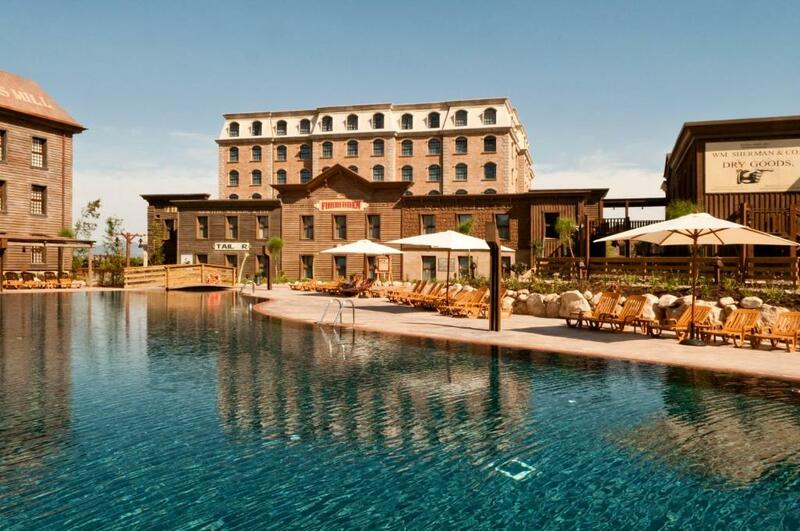 Guests have free access to the spa zone (hot tub, heated indoor pool, sauna and Turkish bath), and the gym at both the Hotel Caribe and the Hotel PortAventura for a EUR 10 surcharge. This rate includes 1 ticket per person per stay to Ferrari Land, free unlimited access to PortAventura® Theme Park and discounts for Costa Caribe Aquatic Park (please check the parks' opening calendars). 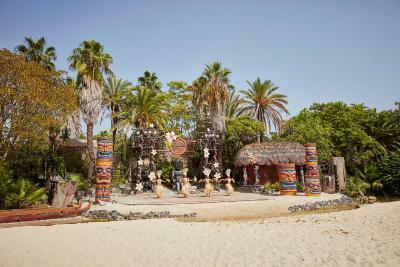 The access to the park covers the total length of the stay, including both check-in and check-out dates. 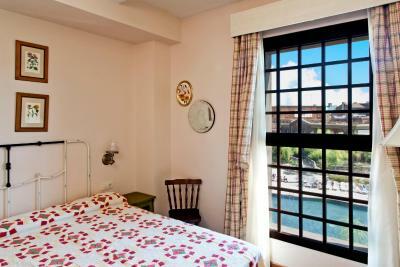 This quadruple room has a satellite TV, air conditioning and mini-bar. 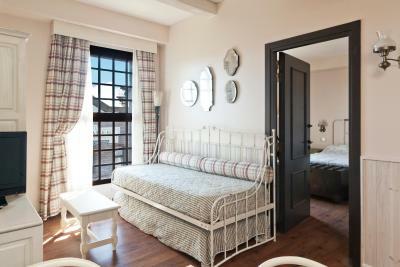 This quadruple room features a mini-bar and air conditioning. 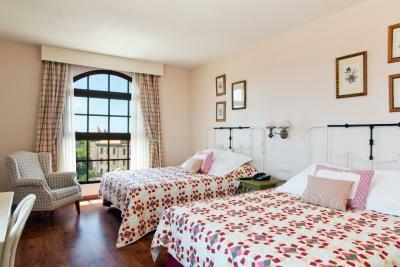 This quadruple room has a mini-bar and air conditioning. 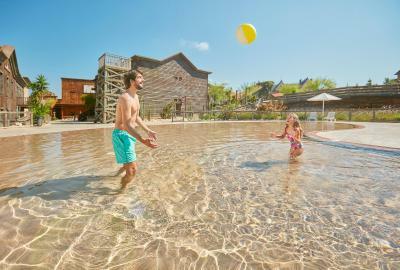 House Rules PortAventura® Hotel Gold River - Includes PortAventura Park Tickets takes special requests – add in the next step! 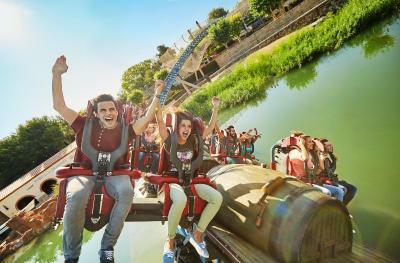 PortAventura® Hotel Gold River - Includes PortAventura Park Tickets accepts these cards and reserves the right to temporarily hold an amount prior to arrival. 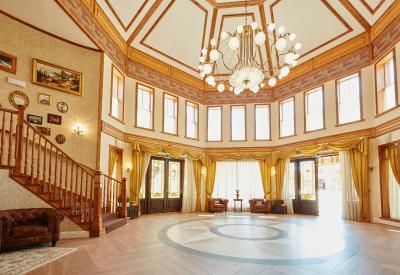 Please note, access to PortAventura Park is included. Tickets to the Aquatic Park and Cirque du Soleil are not included. 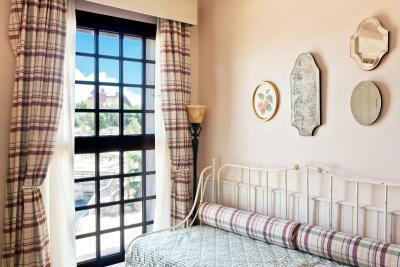 Portaventura has a pass which allows all purchases in the park to be directly charged to the hotel room. This rate includes free and unlimited access to PortAventura® Theme Park and discounts on Costa Caribe Water Park (please check the parks' opening dates). The access to the park covers the total length of the stay, including both check-in and check-out dates. During the 31 December, there is a gala dinner, party favors bag, and after dinner party at the Convention Center (transfer included). Very small room! Reception staff were overwhelmed and rude! No amenities in the room . TV was 14 inch big with no English language options. I can go on and on - worst hotel I have stayed in. I didn't like a 20-min queue for breakfast, even though there were a lot of free tables which were not used. Breakfast was not of very good quality. If you find a good deal, it's a great value for money (80 x person with breakfast). 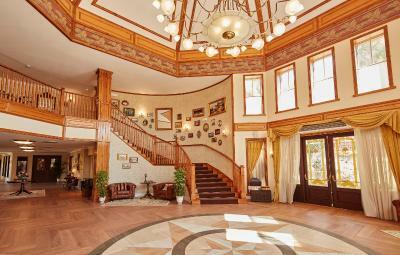 The hotel decorations are nice and it is really close to Portaventura (3 min walking). Hotel Gold River could maybe do with additional dining options in the low season. Quick access into the heart of the theme park. Pull out sofa bed Cost of low quality evening buffet. We were there in the beginning of April, the room was a little cool. No facilities to heat drinking water. Everything! Very clean, very interesting design, breakfast was good. We had a family room which had an internal door and we could hear everything from everyone that stayed next door, which made it difficult for my son to sleep. Also, there was no mattress protector on the bed and the sheets were too small for the bed. That the park was very close to get in to. 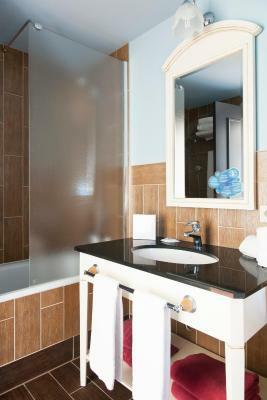 information could be better, used filty towels in bathroom on the first day. The rooms have no isolation so you can hear everything from the other rooms like they are standing in yours. Not 4 stars worth and the only shop is closed between 13h and 17h so you must go to the park for getting something. 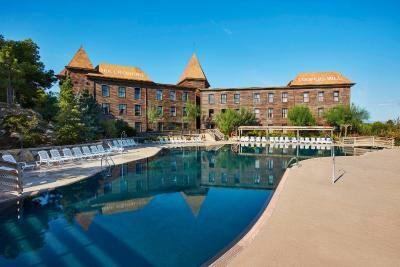 like the property enviremont, sphere and location to enter the park and very good breakfast. Staff is friendly. The quality and choices of food during the dinner. 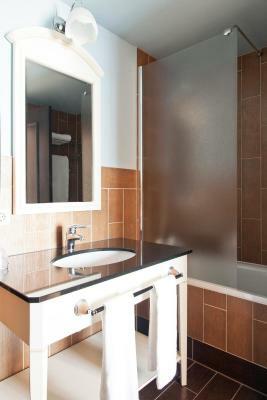 The location which is within walking distance from the Park. We really like the half board food options. Lots to choose from the breakfast and dinner. 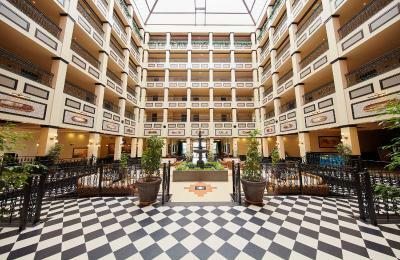 Great location, loved the wild west themed town, we stayed in City Hall hotel and had a double room which was very clean and very spacious, it contained two kingsize beds that were very comfortable, the rooms have great soundproofing so a quiet night sleep is guaranteed. 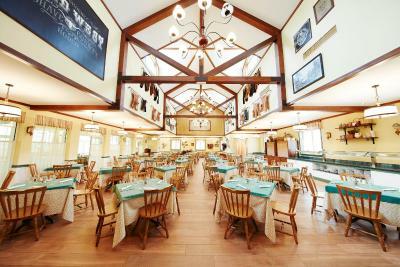 The dinning room is obviously quite hectic but meal times are staggered and the staff do a great job keeping the buffet topped up, bar drink orders taken plus tables cleaned and cleared. The buffet has a good amount on offer and plenty of variety with hot and cold meals. Highly recommend and would definitely visit again. The staff and food were mostly awful, felt trapped there. Basic necessities vastly over priced.